If you like enjoying the outdoors and soaking up the fresh air while you’re relaxing at home, then outdoor gazebo installation may be just the way to go for you. Not only are gazebos great for unwinding and taking it easy, but they’re also great for entertaining guests. If you’re planning on throwing a laid-back and fun weekend lunch with a couple of your closet family members and friends, a gorgeous backyard gazebo or Amish built pergola can make for a fantastic and convenient setting. 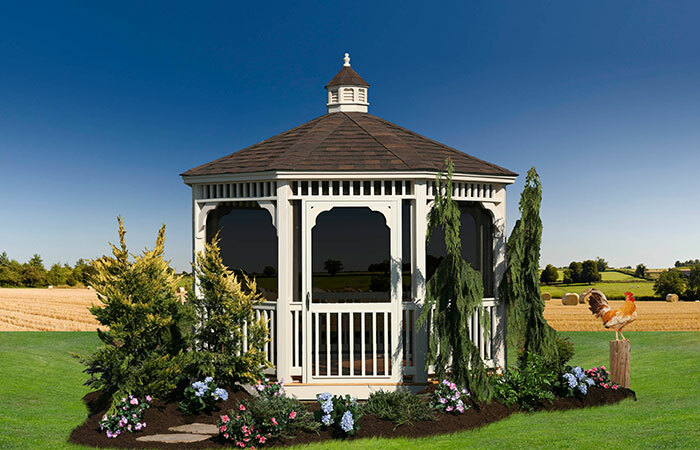 When you’re searching for high-quality gazebos for sale in Delaware or Maryland, Amish Structures is without a doubt the finest option for you. 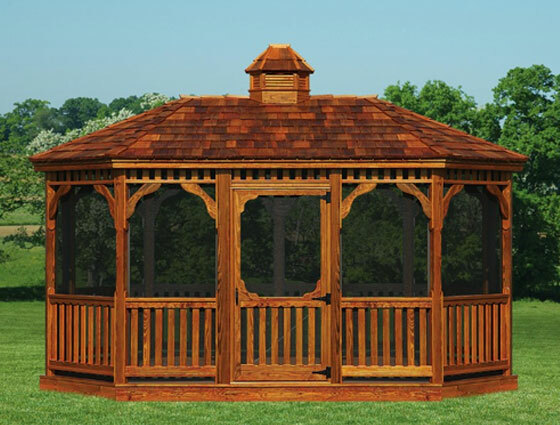 Whether you’re in need of a rustic and charming wood gazebo or a more low-maintenance vinyl gazebo, the skilled craftsman who make our structures can stun you with their detail-oriented and attentive work. 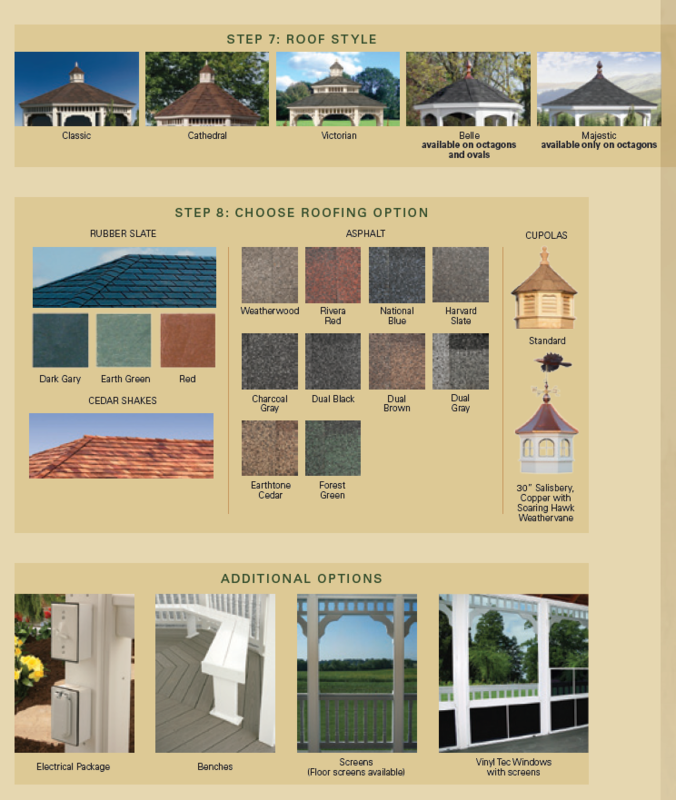 Call today for Delivery & Installation for an Amish Built, Backyard Gazebo! There are many exciting perks that are associated with our various available vinyl gazebo and wood gazebo choices. If you want a nice little sanctuary right by your residence, our gazebos for sale can definitely fit the bill for you. These structures are perfect for people who want to be able to get away and relax without even having to really leave their homes. They’re also ideal for people who simply like reveling in magnificent outdoor views. If you want to be able to take in a stunning sunset in peace and serenity, not many options can beat our durable and dependable outdoor gazebo choices. We even offer convenient screened gazebo options here at Amish Structures. If you want all the benefits of a gazebo with the added convenience of a little defense against the elements, then a screened gazebo may just be the exact thing you need in your backyard. Excellent customer service is always a major priority for us here at Amish Structures. If you’re in New Jersey or Maryland diligently searching for a high-quality backyard gazebo, our company will never let you down. We’re always more than happy to help our customers. 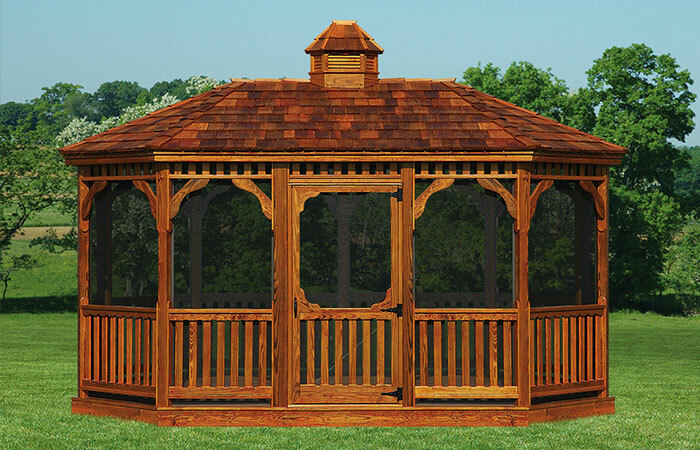 If you have any questions about our gazebos, we’ll provide you with all of the knowledge you need. We’re true gazebo experts here at Amish Structures. 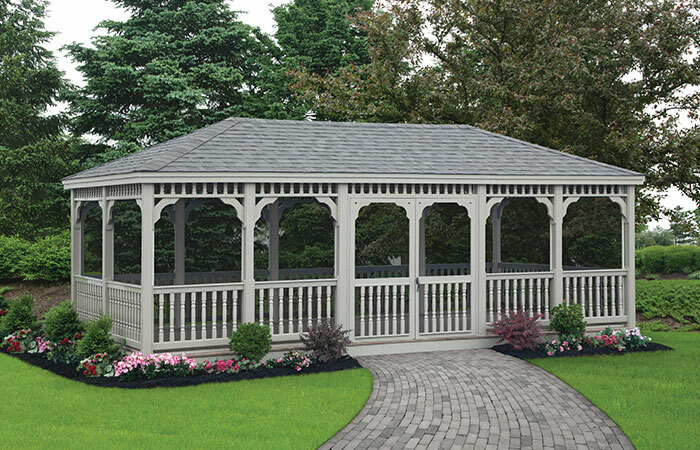 If you’d like to enhance the appeal of your yard with a new outdoor structure, call us at Amish Structures as soon as possible for more information on our first-rate gazebos. Remember, a good gazebo complements the design of your landscape and is well built and appropriately sized. A gazebo is a great centerpiece for making special events even more memorable. 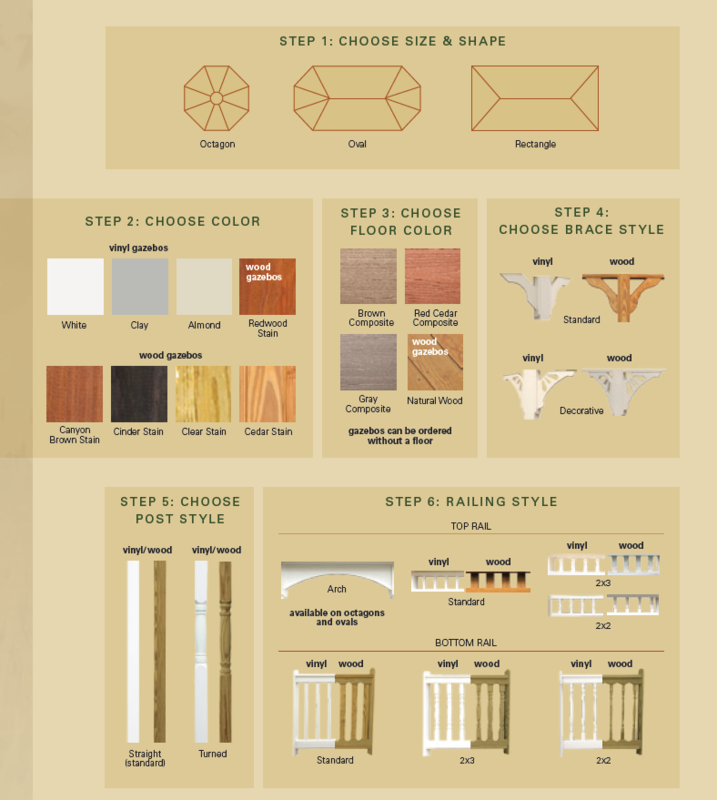 Don’t miss out on the opportunity of making memories with a gazebo from Amish Structures. We have a great selection of gazebos that are all made from high quality long lasting materials.